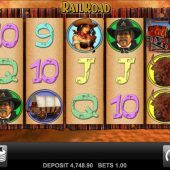 Railroad slot is a Merkur Gaming title consisting 5 reels, over 3 rows and just 5 pay lines in total. Players are encouraged to hit the tracks across the great prairies, protecting their train from the criminal bandits out for loot. Get rewarded for facing off the locomotive heist in this old-fashioned, but very fun, slot game. 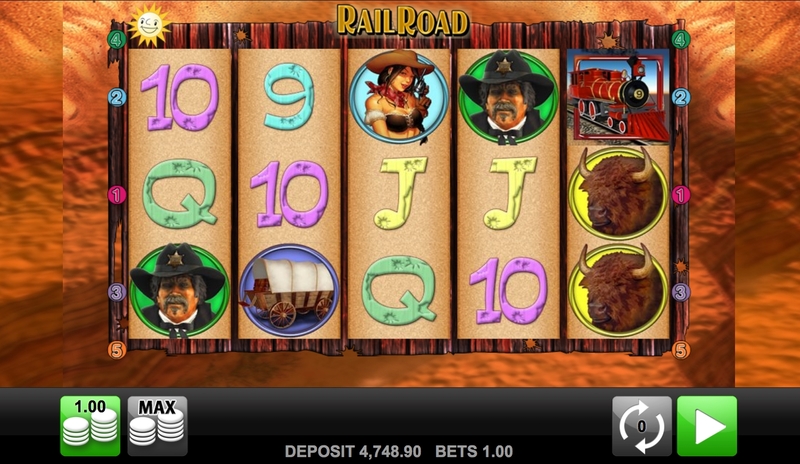 Land 3, 4, or 5 Scatter Cactuses to activate 12, 16, or 32 free spins respectively. To add to this, land 2, 3, 4, or 5 Cactuses during the feature, you will win either 12, 16, 32, or 50 more free games.